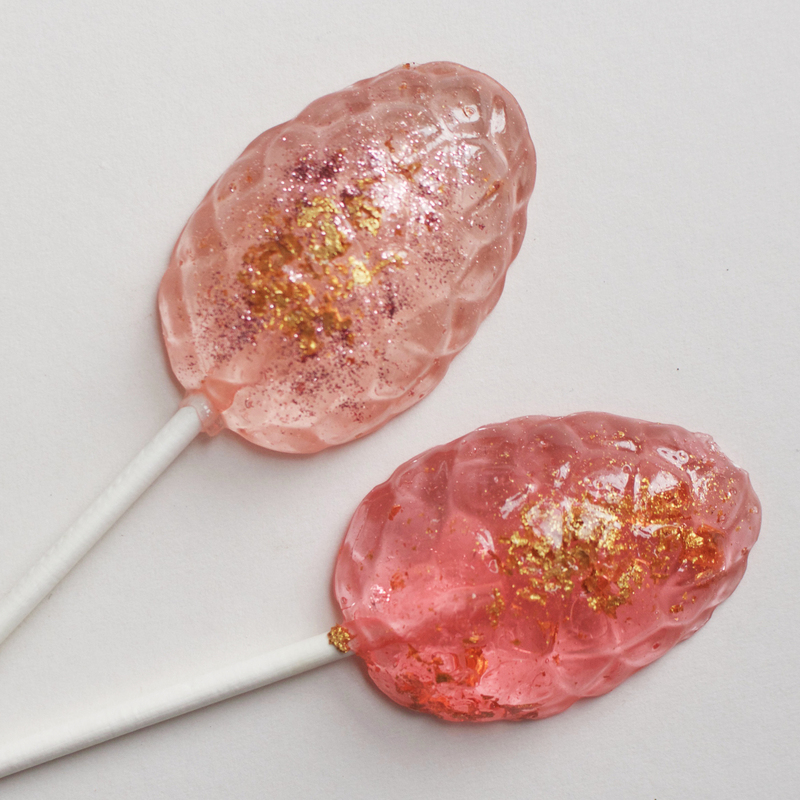 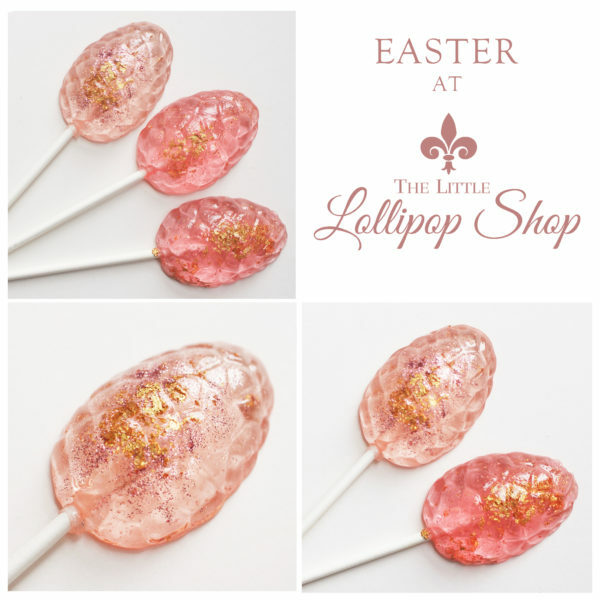 These gorgeous Easter sparkling lollipop favours are the perfect gift for those who like to indulge in the sweetness of Easter. 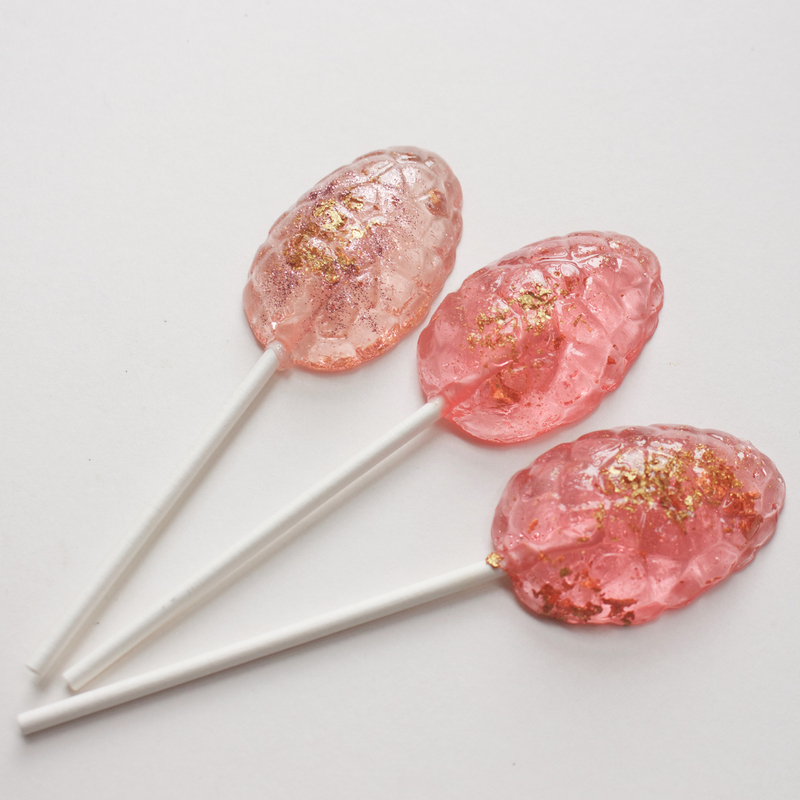 The Easter pack contains 5 lollipops in five different colours and flavours: pink (rose), turquoise (watermelon), yellow (marshmallow), purple (candy floss) and blue (caramel). 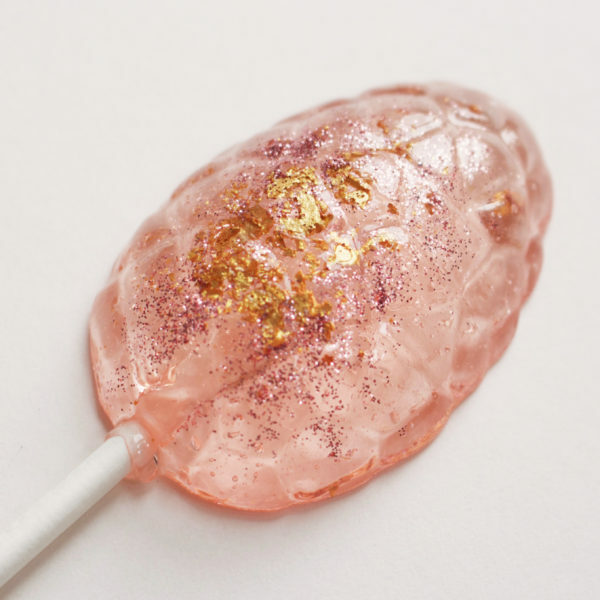 The Easter sparkling lollipop favours come wrapped in individual clear cellophane bags. Small blank or stamped card tags are available to purchase. EGG-SHAPED (5 lollipops): 4.5 cm (1.8 inch) heart-shaped lollipops (total length approximately 10 cm).